The Space and Naval Warfare Systems Center Pacific in San Diego is working with one of the few quantum computers in existence to assess its applicability to military computing problems. SPAWAR will be using a D-Wave Systems computer at the NASA Ames Research Center in Silicon Valley that is owned by and shared with Google. Quantum computers make use of quantum-mechanical phenomena, such as superposition and entanglement, to perform operations on data. 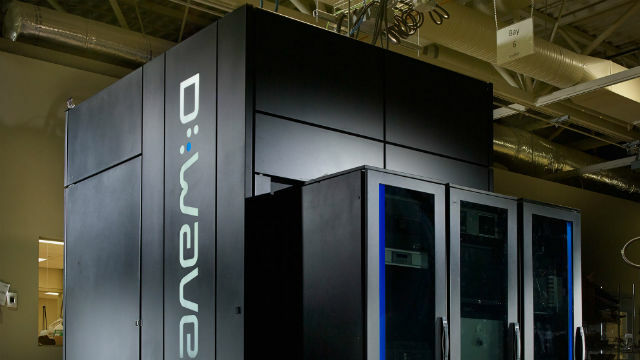 D-Wave’s machine uses a lattice of 1,000 tiny superconducting circuits, known as “qubits,” chilled close to absolute zero to achieve quantum effects. “What we’re planning to do is pick a problem which is of interest to both sides, that we can then run on their D-Wave machine, and look for external sponsors to help us fund this,” said Dr. Joanna Ptasinski, an electronics engineer at SPAWAR who spearheaded the partnership with Ames. “Some of those problems would be cooperative communication and ad hoc networks, time division multiple access message scheduling, or algorithms for data storage and energy data retrieval with underwater autonomous robots—optimization-type problems,” she said. SPAWAR provides the Navy and other military branches with essential capabilities in the areas of command and control, communications, computers, intelligence, surveillance, and reconnaissance.